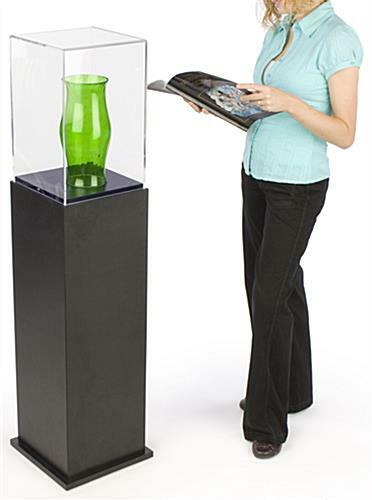 Museum Display Cabinets are Ideal Stores, Offices and Boutiques! 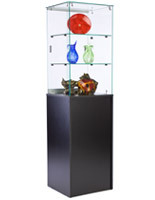 These Display Cases, Showcase Curio Cabinets are Affordably Priced! Museum Display Cabinets are Fully Stocked and Ready to Ship. Museum display cabinets give you the ability to showcase specific collectibles, sports memorabilia, on-sale products, jewelry or trophies in an eye-catching way. These store fixtures, museum display cabinets have a pedestal-like design to bring your displayed items to a customer's eye-level. 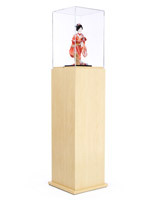 The base itself is 35-1/2" tall, therefore showcasing collectibles at a perfect height for easy viewing. 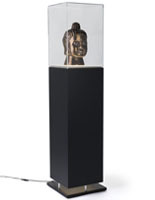 Museum display cabinets, also known as acrylic showcases or display stands, feature a black laminate finish for added style. 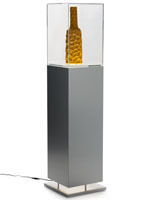 These museum display cabinets feature a 17"h clear acrylic top. 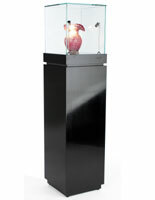 This gives customers the freedom to view your displayed items from all four sides! 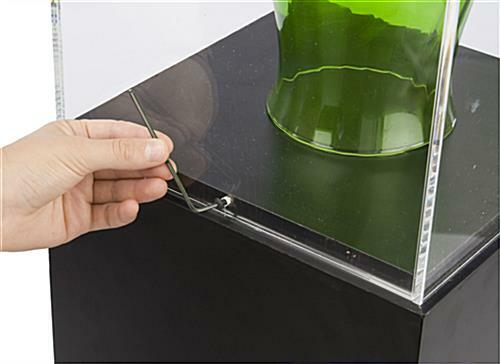 To update a presentation, simply lift off the acrylic boxes. We even provide the museum display cabinets each with a set of screws to attach the acrylic top to the base. 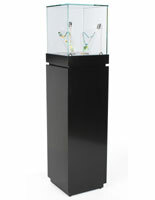 These museum display cabinets are perfect for use as store fixtures, display stands or museum showcases. 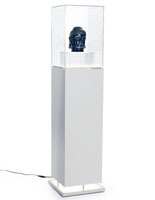 The display stands, museum display cabinets are affordably priced to fit into even the tightest of budgets. Buy museum display cabinets to save money yet still showcase trophies, collectibles, jewelry and on-sale products in a stylish and attention-grabbing manner.